You can’t just stop there if the car you’re looking at isn’t marked by Carfax, however. While dealers are required to disclose flood damage, there exist enough loopholes in the system that some cars inevitably sneak through. 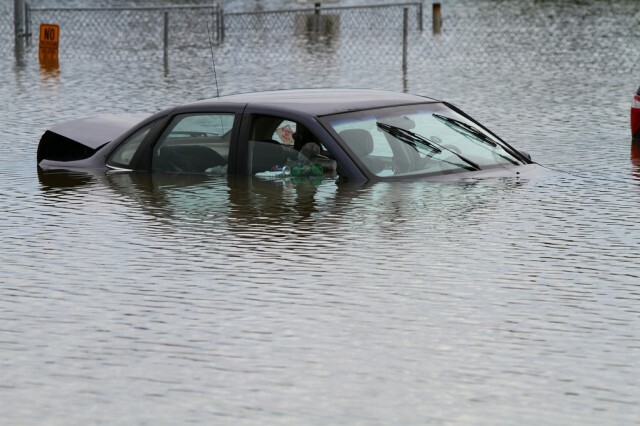 For example, if a car was insured at the time the flood occurred, the damage would almost definitely be reported. However, it is easier to skip the requisite reporting if repairing the car without the insurance company’s oversight. It may also be worth calling a dealership to ask about service records for the vehicle if it’s a newer model. Most automakers link service records between dealerships. While privacy laws prevent dealers from giving out a previous owner’s personal details, the records may indicate signs of flood damage or repair. For a modest fee, nearly every mechanic or dealership will perform what’s called a pre-purchase inspection, or PPI. Having one of these performed on any car, even one you’re confident hasn’t spent some time underwater, is generally a good idea.